The holidays are expensive. There’s no question about it. 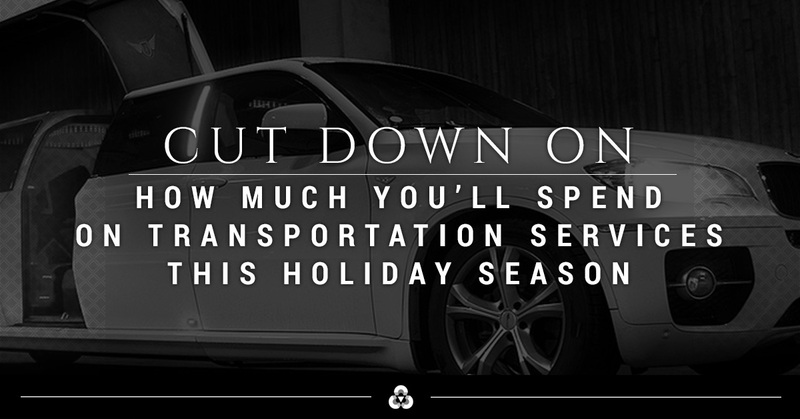 You spend money on gifts, cooking, and most importantly — transportation. If you live across the country from your family and you have to pay $400 for a ticket home, how much do you think that has cost you over the years? Even if you live five hours away and you love to drive to your family’s house, how much money do you think you spend on gas? Let’s not forgot how much time you probably spend on everything holiday related as well. While we don’t want you to go all Christmas With the Kranks and ignore the holiday season altogether, we would like to point out that there are some great ways to limit spending this year. For example, you can save on most of those transportation fees by just hiring an airport transportation service. Instead of paying for parking, standing in long lines for public transportation, or calling on Uber or Lyft without knowing how long it’ll take to get to you, you can contact Ohio Luxury Transport for our services. Regardless of what airport you’re flying out of, it’s going to be expensive. If you fly out of DAY, you’ll be looking at $5 to $24, depending on where you park. For CVG, you’ll be spending $8 to $24, depending on if you’ve decided to park economy or curbside valet. If you’re flying out of Southwest & Central or Ohio & Northern Kentucky, you’ll be looking at similar fees. While it might be nice to have your car at the airport for when you come home, you’ll be looking at a nice fee of $40-50 on average. Let’s not even get started on how you’re going to get back to your car. If you have a late night flight, you probably won’t get home until several hours later. By hiring an airport transportation service, you can eliminate the time and money you’re wasting. With that $50, you can save it or spend it the way you want instead of purchasing a few days of parking at the airport. So now that you’ve ruled out leaving your car at the airport, you’re probably jumping into all the ways you can get there and still save money. You have access to Uber or Lyft, but when you want to choose them, you might not have access to a car. For example, if you live a little further out, you might not have a driver in your area. You’ll need to call ahead to ensure you have a ride because sometimes the driver can take longer than the app says to get to you and let’s not even discuss getting lost. If you’re in a hurry to get to the airport, then an Uber or Lyft isn’t for you. Furthermore, if a lot of people are trying to get to the airport, the prices will be raised. A trip that should only cost $20 can go all the way up to $50, especially when you want to get home from the airport. A taxi might seem like a good idea, but those are very hard to find in smaller cities such as Dayton. They can also raise their rates and you can end up charging an arm and a leg for a short drive home. While a taxi isn’t a bad idea, they aren’t always available, especially around Dayton. Even around Cincinnati, they can be difficult to find. Additionally, when you are near the airport, you might not find one that’s available, especially around the holiday season. Lastly, public transportation is a good idea when you want to save money. However, no one wants to be on public transportation with a suitcase, especially during rush hour. The buses and trains in Cincinnati are a great system, but they don’t have the space you might need to put your suitcases down or after being crammed in an airplane for several hours. While public transportation is affordable, you’ll end up waiting on a packed bus or train with other travelers when all you want to do is go home. When you choose Ohio Luxury Transport, you’ll get a comfortable ride and on-time arrival to your home or to the airport. Schedule a reservation today.